Bluebirds are a favorite backyard visitor in almost every area of North America. 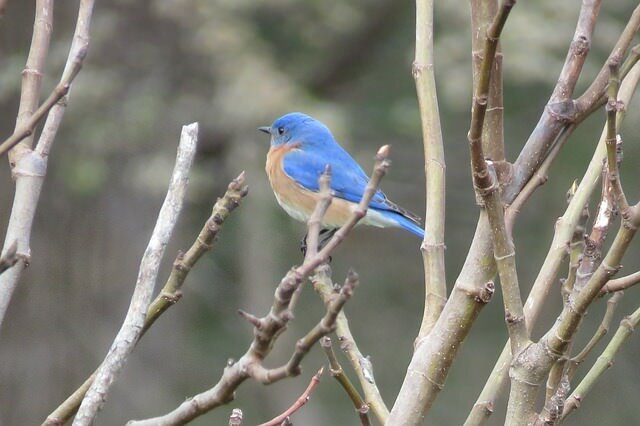 With Eastern, Western, and Mountain Bluebirds each covering their own part of the country, almost everyone can enjoy these bright and beautiful birds. Learning how to attract bluebirds to your yard starts with finding out more about them and what they need to be happy and thrive. Bluebirds aren’t really shy, but they don’t often frequent most urban or city settings. They will, however, settle right into large open backyards, bigger parks, and grass-filled areas such as golf courses or even cemeteries. Bluebirds like having the space to hunt insects low to the ground. If you have a lot of grass and/or weeds with cover available in the form of bushes and trees around the edges, you are in luck. This is where they will gravitate to naturally. Insects combined with fruit and small seeds are the mainstays of the bluebird diet. The birds sometimes add creatures such as very small snakes, lizards, and frogs. When you offer bluebird feeders filled with their favorite treats, you up the chances for bluebirds staking out a claim in your yard. There are many things you can do to provide an optimal environment for these beautiful members of the thrush family. Educating yourself about them and making your yard a safe and welcoming haven for them is important. When learning how to attract bluebirds and keep them coming back, choosing the proper bluebird feeder is the best way to get started. 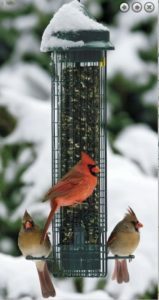 Whether you choose a specially designed bluebird mealworm feeder or a universal suet feeder designed for many types of birds, you have several options. Below are five of the best bird feeders for attracting and keeping bluebirds happy in your yard. Dome-Top Bluebird Feeder – Attracting bluebirds to feeders is easy when you use this dome-top mealworm feeder. The clever and versatile design allows you to choose what type of feed you want to offer (mealworms, seed, suet, fruit, etc.). It also gives you the option of raising or lowering the dome to either encourage or discourage larger birds from visiting. This feeder is made of a UV-resistant, heavy-duty polycarbonate which makes it both lightweight and durable. It is easy to clean, fill, and reposition at any time. Garden Canopy Bird Feeder – Acting as both a piece of art and a bluebird feeder, this attractive metal feeder will become a garden focal point. It won’t take bluebirds long to discover this unique feeder that holds about ½ cup of mealworms, seeds, suet, or any other treat you offer. The green leaf canopy offers shade and shelter to the food as well as the birds perched on the sides of the metal cup. A perforated mesh base allows for moisture drainage and air circulation to help keep the feed fresh and safe for your feathered visitors. The all-steel feeder is easy to clean and easy to keep filled. 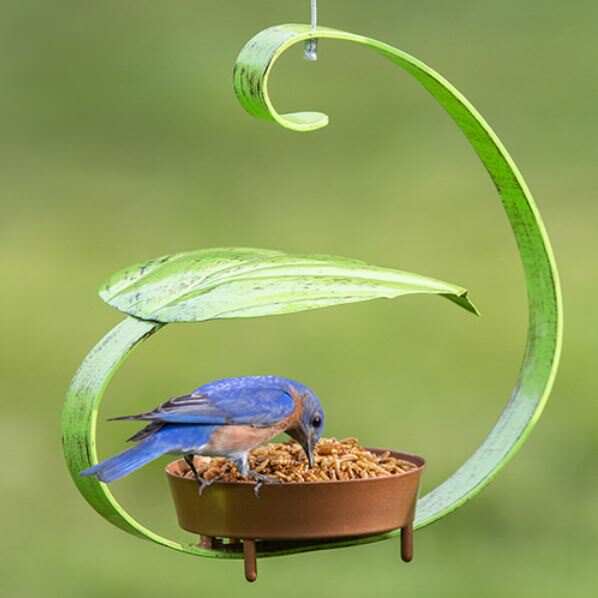 Baffled Bluebird Feeder – This pretty and well-designed bluebird feeder is both decorative and functional. 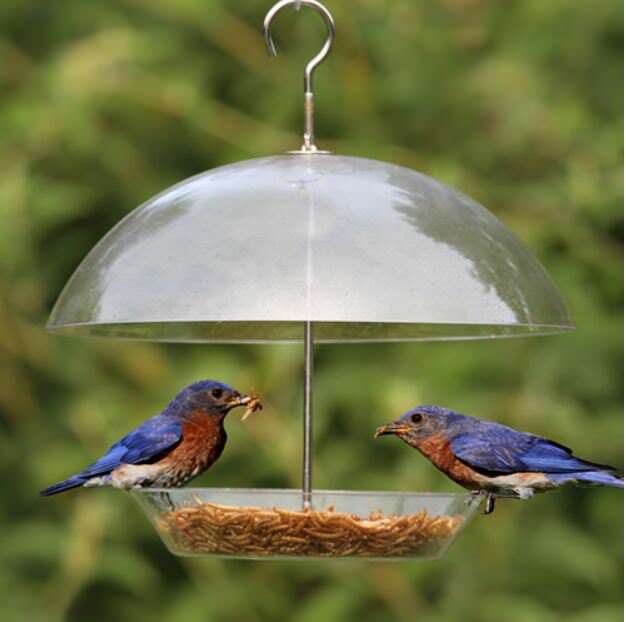 With a bright blue, scalloped metal base and roof that is 14 inches in diameter, there is plenty of room for several bluebirds to dine at once. 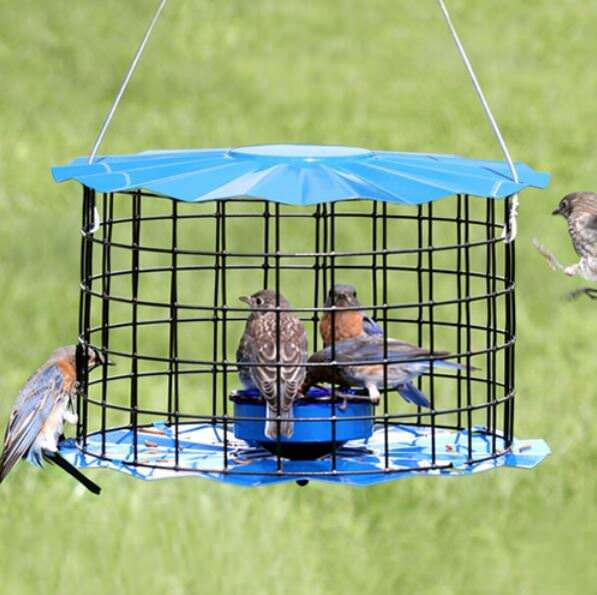 The cage arrangement allows the more gentle and timid bluebirds to eat without being bullied by larger birds. An attached 4 ½” metal cup safely holds mealworms, nuggets, and pellets or any other treats. With an abundance of shade and air circulation, food is kept fresher longer and birds are more comfortable and secure. 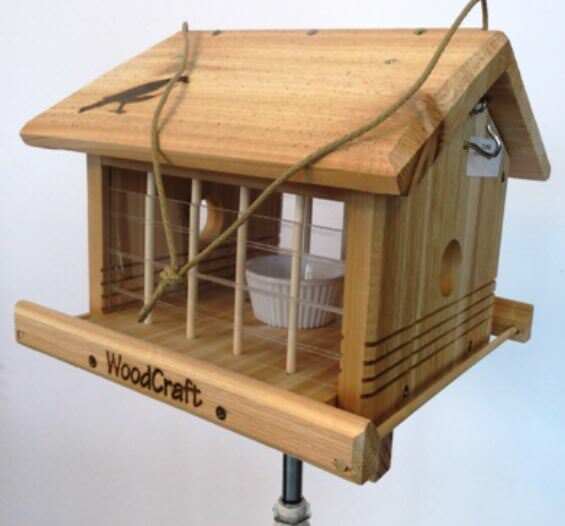 Cedar Bluebird Feeder – Even though this handsome cedar feeder was intended for serving up mealworms, it is versatile and can also be used to offer suet and other mixtures. After the feeder is installed, the dowels and plexiglass sections can be removed until the bluebirds are comfortable feeding. They can then be replaced to create smaller entrances – keeping larger birds and squirrels out. The feeder can either be hung by the attached cord or mounted to a deck railing or pole. Filling the feeder is easily done by opening the roof which combines with the plexiglass panels to provide extra protection from the weather. Squirrel-Proof Caged Bird Feeder – The design of this caged bird feeder will appeal to both birds and humans alike. Its unique and simple lines combine with a neutrally-colored metal roof to make it a beautiful addition to any yard. The secure double-locking closure system keeps suet or seed cakes in position while also keeping the pesky squirrels and bigger birds out. Bluebirds, woodpeckers, chickadees, and others can enjoy their meal in peace. The seed and suet cakes are kept dry by the powder-coated roof. The cage design also allows you to put fruit pieces in the cage for a different treat in warmer months. Once you’ve chosen a bluebird feeder that fits your needs, step two is to select the appropriate feed. After that, placing the feeder (or feeders – multiple feeding stations bring in more birds) will be your last step. There are many types of food that you can place in your bird feeders. In order to get the right birds to come to your yard, you have to know what to offer. Attracting bluebirds to your feeder begins with picking their favorites. Mealworms – Of anything you can put in a feeder, mealworms are by far the most desired food of bluebirds. They will turn their beaks up at everything else out there if mealworms are available. Easy to obtain, store, or even raise yourself, the nutritious mealworms are the perfect treat for bluebirds any time of the year. They are especially welcome when the bluebirds are raising their young. Fruit – Small edible berries of any kind are always popular with bluebirds. They are the second staple behind insects in their natural diet. 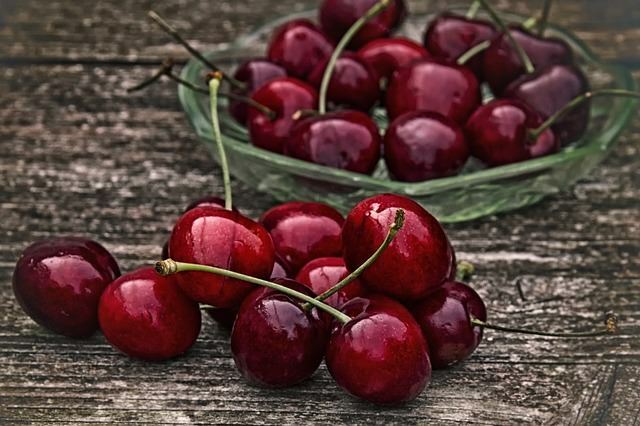 Popular fruit for bluebirds includes: blueberries, black cherries, wild holly, dogwood berries and honeysuckle. Chopped up pieces of larger fruit will also be a welcome addition. Sunflower Hearts – Shelled sunflower seeds (or hearts) are one of those foods that the birds will eat if their favorites aren’t readily available. They like them, but the other two choices above will be devoured first. Crumbled Suet – Crumbled pieces of suet with seeds, berries, and even embedded insects will also be accepted – when fruit and mealworms aren’t on the menu. The suet provides extra fat and protein that can help them survive winter. Use commercially prepared suet blocks or make your own. “Location! Location! Location!” We hear that often enough to understand just how important the right location can be. And like those noisy salesmen, bird lovers will agree – if your bird feeders aren’t in an optimal location, you won’t have any customers. The best bluebird feeder location will have several things going for it. It should be hung securely in an open area – emphasis on secure. Bluebirds can handle breezy conditions and will stay put eating as they ride it out. Make sure the feeder won’t come down. The next thing to consider is the amount of available cover and perches. Bluebirds enjoy spying on their prey or targeted feeder before swooping in for a meal. Make sure there are suitable places around the feeder location for them to perch safely. 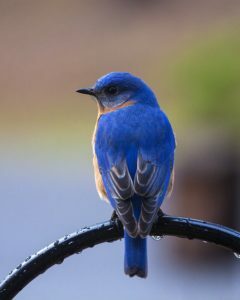 By providing a variety of food, water and shelter options you will be on your way to attracting bluebirds to your yard. Water is even more important than food to most creatures including bluebirds. Providing a nearby source of clean, fresh water will help encourage your new visitors to stay a while. When it comes down to it, the best bluebird feeder is going to be the one that works for you – the feeder that attracts the bluebirds to your yard. 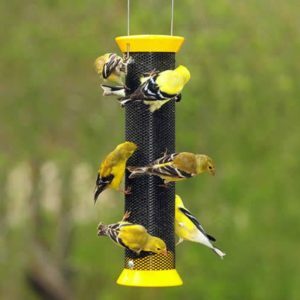 Keep all of the above things in mind when you are picking out a feeder and you should start seeing these vibrant beauties flocking to your yard in no time.